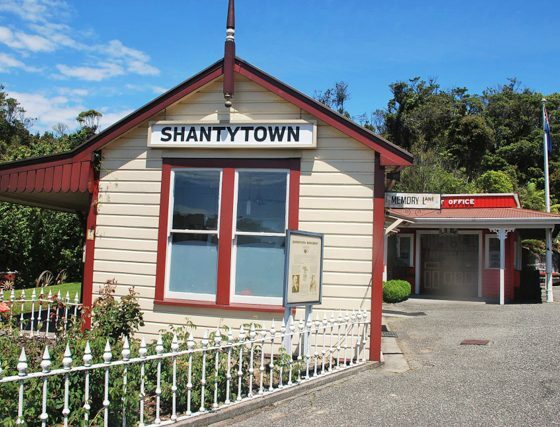 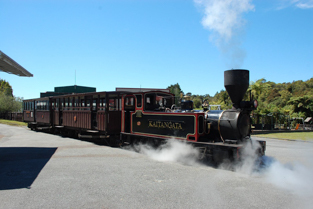 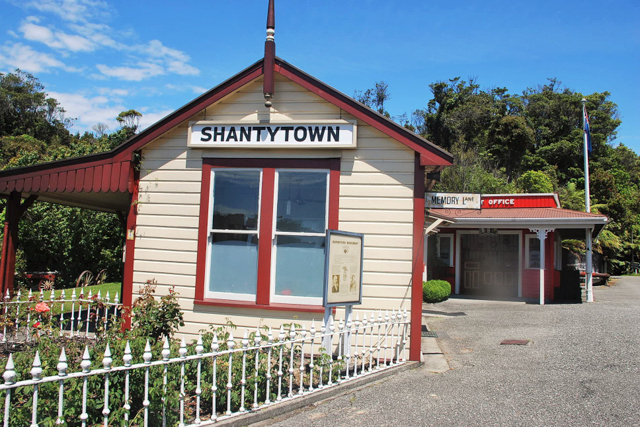 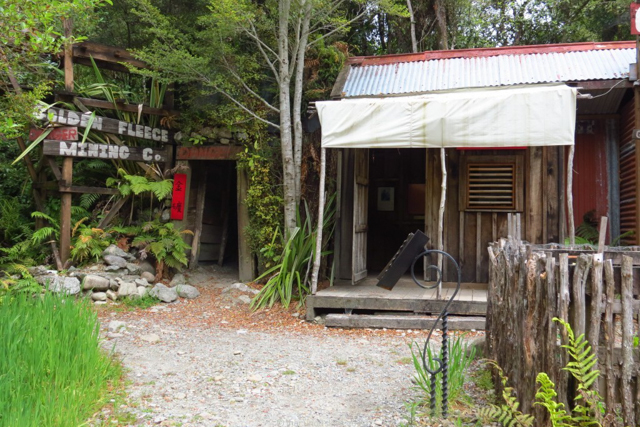 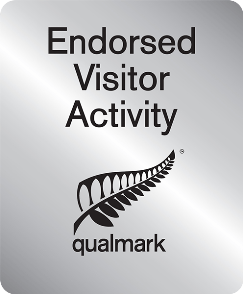 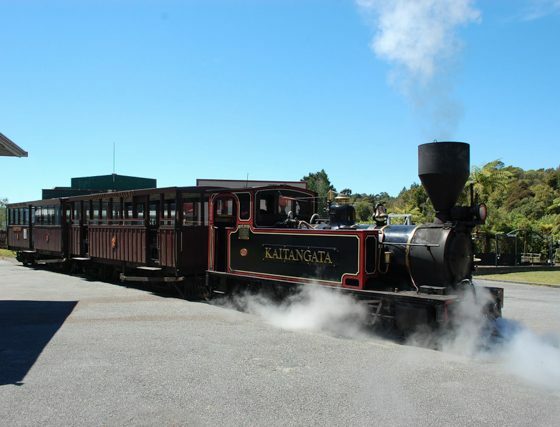 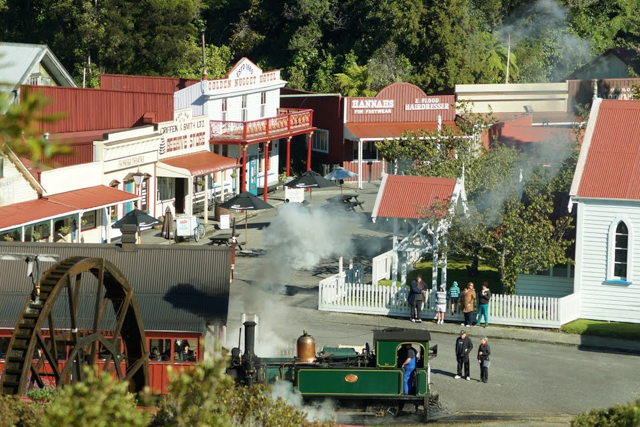 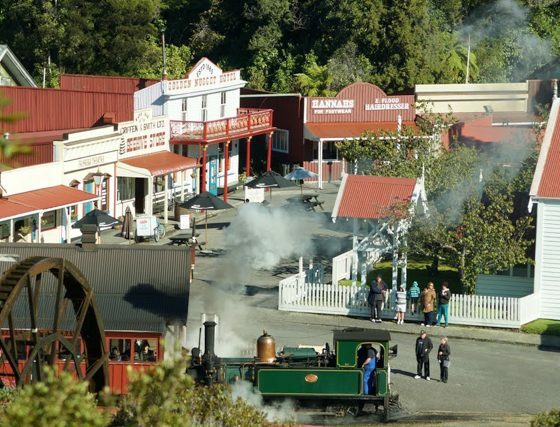 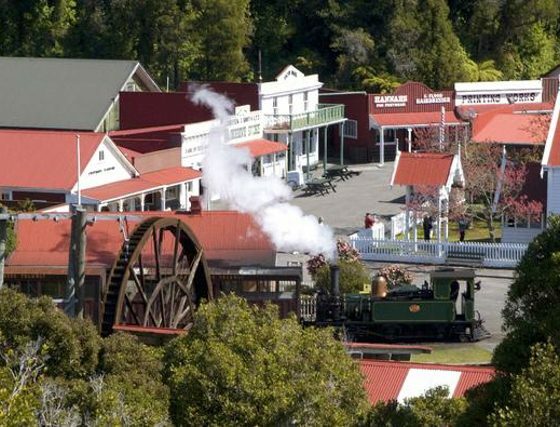 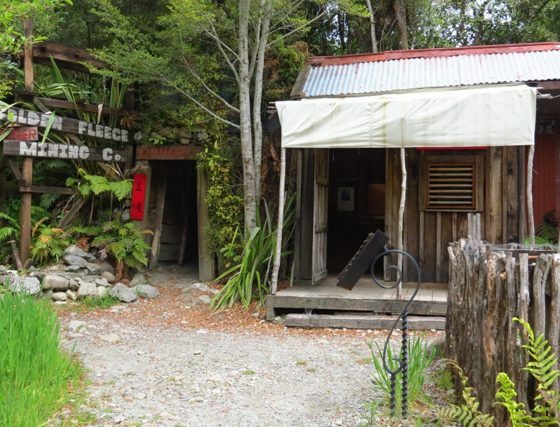 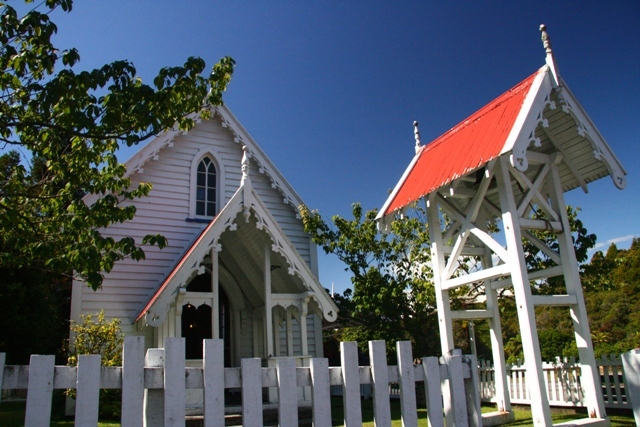 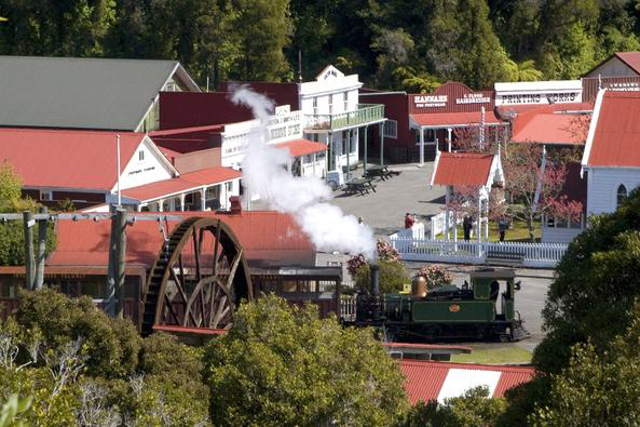 Set on 500 acres of native rainforest Shantytown Heritage Park located 10km from Greymouth on the West Coast of the South Island is a recreated 1860’s gold-rush town that has a number of attractions and activities to suit all ages. 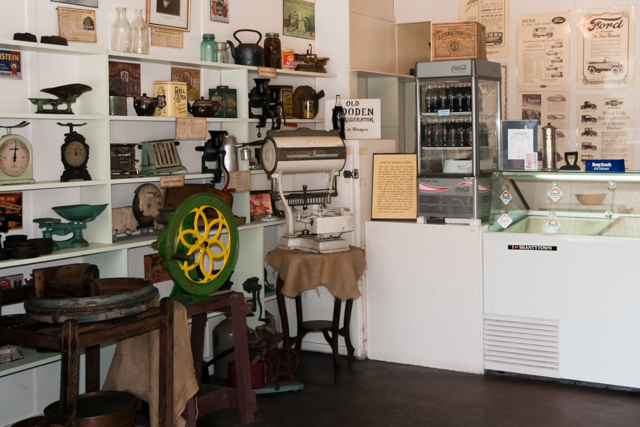 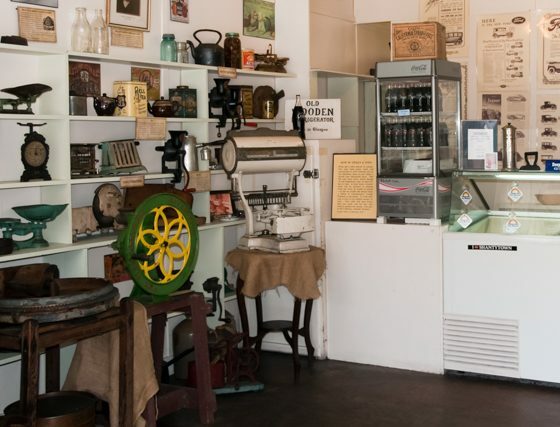 Learn about these pioneering stories through a fascinating mix of experience and displays with 30 shops and buildings to explore showcasing life in the early years of colonisation. The entry price includes a ride on one of our two vintage steam trains that follows a sawmill tram track through lush native rainforest to a photo stop. 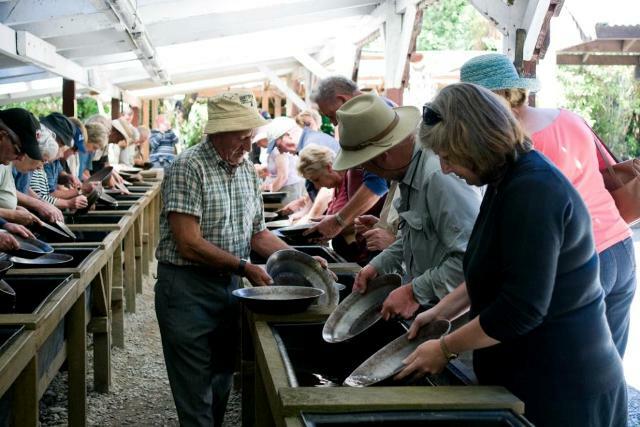 On the return the train will stop at Infants Creek Sawmill where you will take a short walk to watch a mighty sluice gun blast gold bearing gravel from the cliff face before you try your hand at panning for gold. 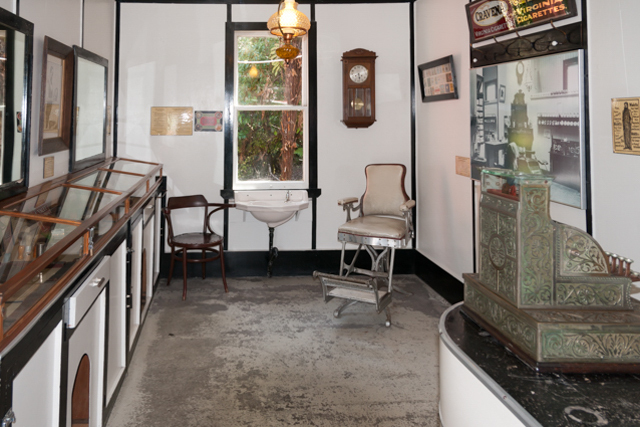 Sit back in our restored Hologram Theatre and experience a production that uses hologram technology combining special effects, historic photos and original court records to ensure you are drawn in to the tragic and true story as it unfolds. 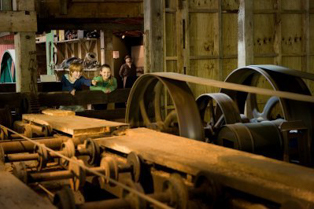 Experience the sights and sounds of a milling operation at our replica steam-driven mill as you follow a boardwalk through the mill itself where you will learn the real stories of West Coast characters, hear the screeching machinery and see some century old artefacts. 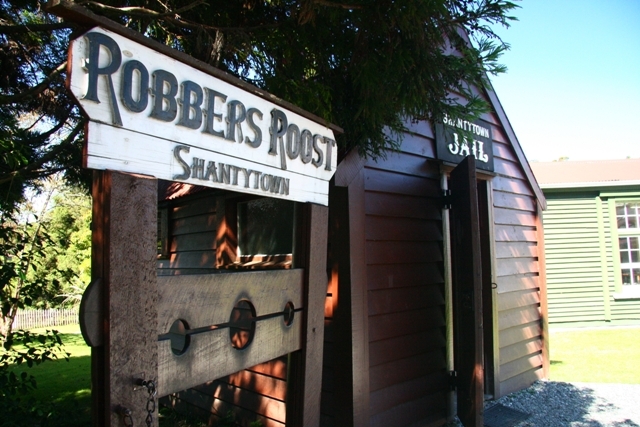 Old time photos are our speciality and the Gold Nugget Saloon provides the perfect backdrop for your wonderful moment of Shantytown. 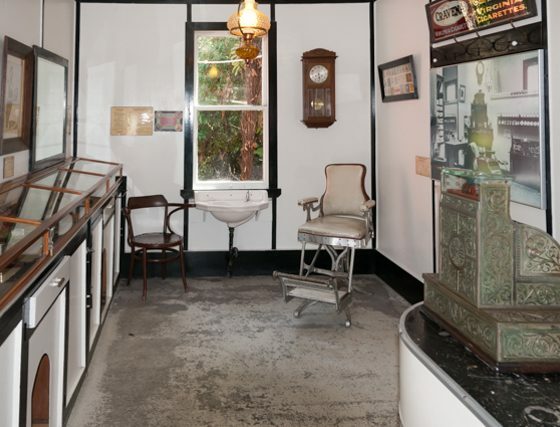 Pick a costume with lots to choose from including a barmaid, a robber or a poker player. 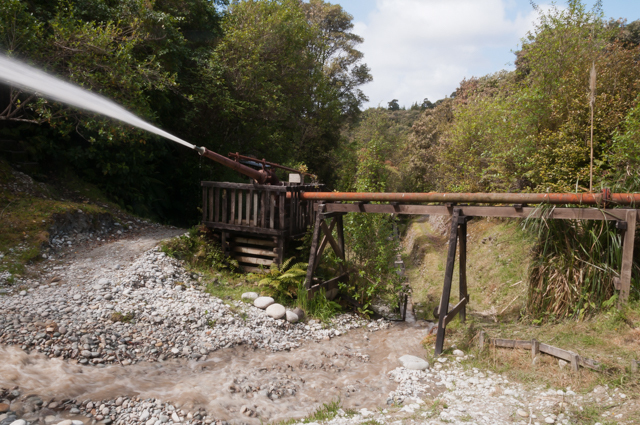 We offer a couple of short rainforest walks, great for all the family. 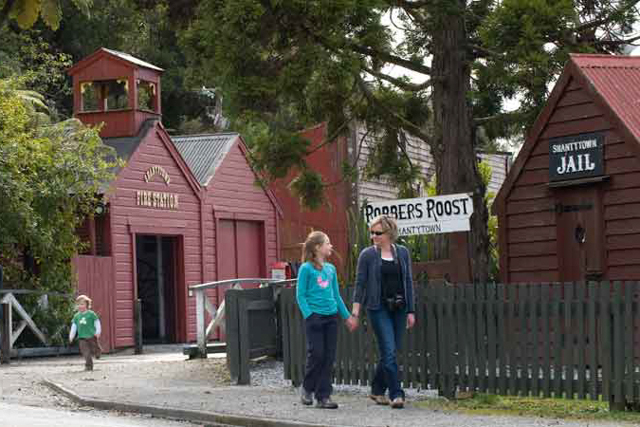 The 15 minute ‘Lookout Track Loop’ takes you to a lookout over the village where the Surveyors Monument stands, a replica of the iron beacons used in the triangulation surveys of Westland and the 10 minute historic Manuka Track traverses from village to the gold claim area. 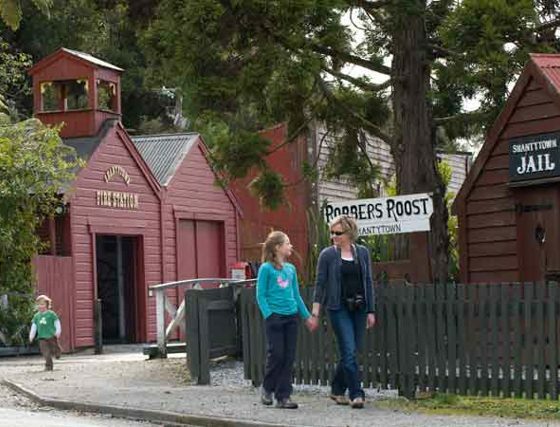 With a flying fox, old fashioned lollies, treasure hunts and amazing buildings to explore.